Below is a list of currently available tube sizes. Choosing one of our existing sizes eliminates tooling cost. We can make other sizes as well but the tooling cost is quite substantial. If at all possible, try to make one of the tubes sizes listed below work for your project. Standard diameter tubes listed range in price from $800 to $3200, approx. 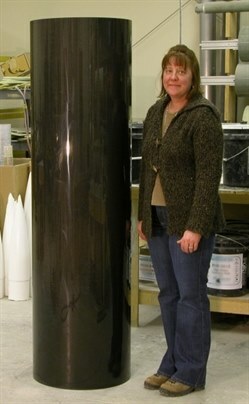 Thicker walled tubes are more costly than thinner walled tubes. For custom diameter tubes, please tap here. If you are having trouble submitting the form, please contact us by tapping the contact button above.